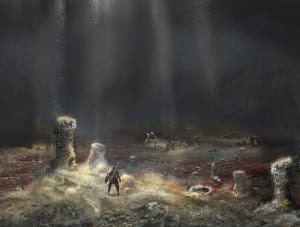 Official concept art prints from video game Dark Souls III. 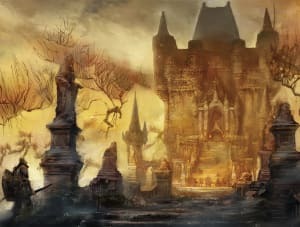 These premium-quality, limited edition giclee prints have been created by Cook and Becker in conjunction with developer FromSoftware and publisher BANDAI NAMCO. Dark Souls III, released spring 2016, is the third installment in the Dark Souls action-adventure role playing game series. The game follows the same artistic ruleset used in earlier installments. 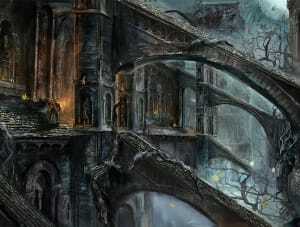 Key aesthetics involve crumbling gothic architecture, dark forests, and many other uninviting landscapes, evoking a constant sense of dread in the player. 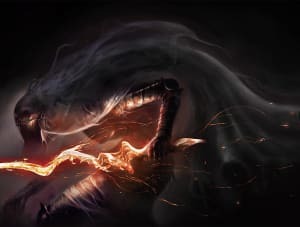 This dark, ominous-feeling art style was further enhanced in Dark Souls III by a liberal use of embers and ash, which tie into the central story theme of an 'Ashen One' tasked with rekindling the 'First Flame' to avert the start of a 'Dark Age'. Most of the design adheres to a 'withered beauty' standard, in which objects, buildings and people are malformed by various forms of decay: chests are rusty, trees overgrown with heavy moss, bodies disintegrating. The end result is a well-designed hellscape, where players need all their cunning and resolve to defeat the grotesque creatures thrown their way. 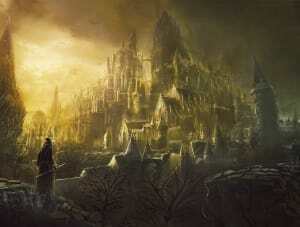 Culturally, the Dark Souls series is part of the - very large - trend of medieval fantasy stories. 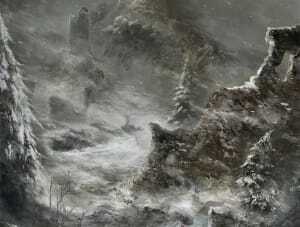 The number of fantasy video games that tie the quests of European, Caucasian knights to those of wizards, dragons, and elves, is simply staggering. This trend is not new – rather, medieval fantasy fiction has been a mainstay in all kinds of popular media for nearly two centuries - and can be traced back to the literary Romanticism of the late 18th and early 19th centuries. Denounced as 'Dark Ages' since the Renaissance, the history of medieval Europe found a new audience in the age of the Enlightenment. As 'enlightened' philosophers like Diderot and Voltaire sought to explain the world through reason, others felt this intellectual trend of rationalizing everything did not do justice to life's many wonders. This sparked a parallel intellectual universe of 'Romanticists' who preferred individual emotions over universal reason, and who glorified the past as a place where mystery still held a place in people's lives. The middle ages, often idealized as a time where people 'led simpler lives', suddenly were perfect study material for Romantic thinkers and artists. 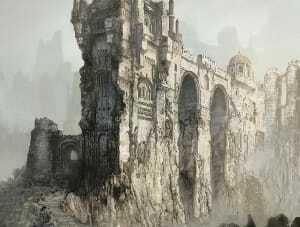 Soon, two trends of 'medievalism' (or 'historicism') emerged in the arts, of which Dark Souls illustrates the latter. The first focused on the perceived spiritual and romantic qualities of medieval life: the refined social interaction of aristocratic chivalry, an intimate connection to God, or the virtues of romantic love. The second branch, however, found inspiration in darker subject matter. Indulging in extreme forms of romanticism, artists entertained tropes like 'aristocratic decay', 'hell on earth', the overwhelming presence of nature, or wallowed in obsessive explorations of death, the occult, horror, and madness. Dark Souls' game director Hidetaka Miyazaki always favored this darker, 'gothic' tradition of medieval romanticism for his video game series. 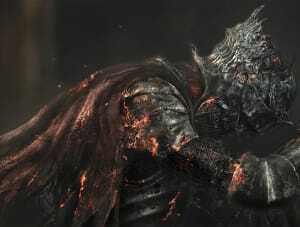 Dark Souls borrows more from sources like Gustave Doré's depictions of hell and purgatory in Dante's Commedia Divina than from, say, pre-Raphaelite art, even though the latter is awash with knights and castles. 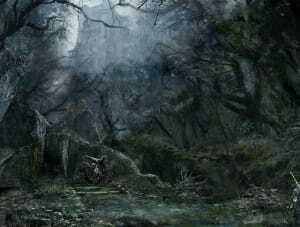 Of course the art in Miyazaki's games is informed by much, much more - be it the paintings of uber-romanticist Caspar David Friedrich, the dark subject matter of Japanese gothic manga, or the playful depictions of surreal monsters in Japanese folklore - but these only support the point in case: Miyazaki would much sooner look to the dark tradition that gave us Mary Shelley's monster Frankenstein, than the high romanticism of Walter Scott's Ivanhoe. 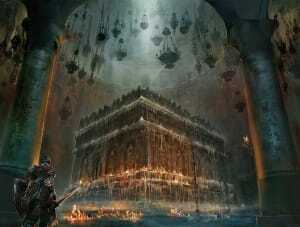 Importantly, the gameplay of the Dark Souls games supports its 'gothic' design philosophy. 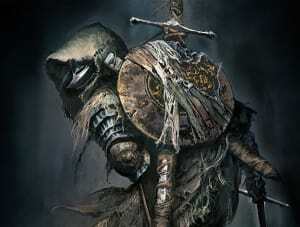 It shuns typical video game power fantasies and their uplifting reward and progression schemes, and sees the knight/protagonist/player character as a struggler rather than an achiever. Instead of showering the player with applause, Dark Souls instills a constant sense of dread, insecurity, and despair. 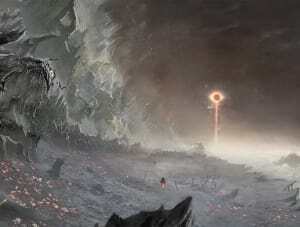 The intricate level designs, the dark environments and unrelenting, hard fights leave players in doubt about favourable outcomes, in disorientation about goals and means to achieve them. Add to this mix the endless rows of grotesque enemies: a wide array of witches, wretches and other 'hollows'; animal-based monstrosities like 'Sewer Centipedes' and oversized Crabs; or a nightmarish selection of figures-tied-to-objects, like the Skeleton Wheel or Lycanthrope (a demon tied to a wooden cross). Together, they inspire nothing less than dread, especially since none of them are easy to defeat in battle. 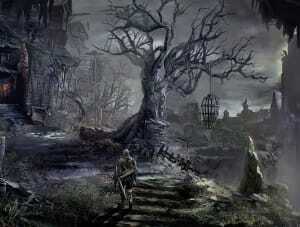 It's gothic horror all the way, and much of it plays out on a metaphoric level. Much like the 'Penny dreadful' pulp novels of the nineteenth Century, Dark Souls seeks to instill fear into the player by tapping into our subconscious. Echoing the Christian idea of Purgatory, the games pit players against the same opponent over and over again, only to die over and over again. Release is temporary at most, as new and stronger nightmarish enemies wait around the next corner. 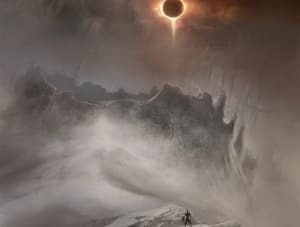 It's an eternity of pain, of suffering one defeat after another against ever-increasing odds, as players traverse through one hell of a videogame. Studio FromSoftware, Inc. is responsible for giving us some of modern gaming's most influential titles.